The above verse is taken from the poem “Like This” by Rumi. Rumi is a 13th-century Persian Islamic poet, and his work has been translated into many of the world’s languages (source: wikipedia). If my interpretation is anywhere close to his idea of a “God’s fragrance”, that fragrance would be the human pheromones, the scent of attraction, the scent of the living. I think that’s absolutely ingenious, insightful, open-minded and unexpected. So what does “Like This” smell like? Is it as poetic as Rumi’s “God’s fragrance”? Well, it turns out it smells like a slice of pumpkin pie. Next time when you host a Thanksgiving dinner, wow your guests by offering them a chance to smell “God’s fragrance” inexpensively – “Close your eyes, now take a sniff.” When they open their eyes, they see a spoonful of pumpkin pie filling you just scooped out of a can and placed under their noses. Of course, “Like This” smells much more than a slice of pumpkin pie; the pumpkin pie smell is actually part of the dry down of the perfume. The opening is a sweet, vegetal, fresh ginger scent that guarantees to wake you up. But shortly after, the awakening notes turn warm and cozy (rose, pumpkin, sweet immortelle, musks) and it begs you to go back to bed or hug something. Look around, nothing good in sight? Hug yourself. 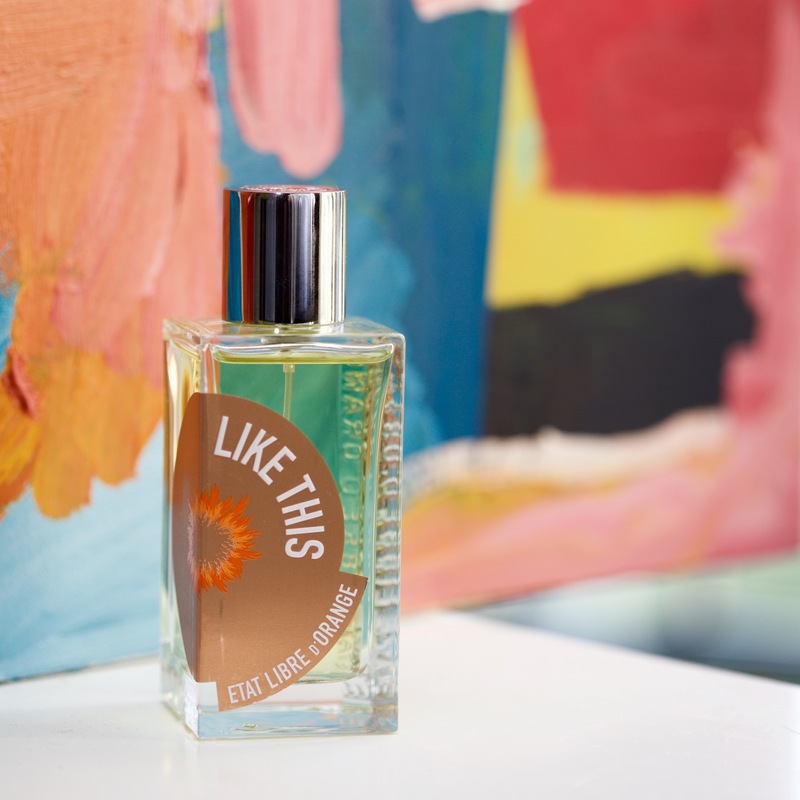 “Like This” is a homey, cuddly scent, but you need to know if the one you want to snuggle with likes pumpkin pie, because I had once served someone a slice who did not like the smell of pumpkin spice but too polite to say no, and he looked like he had just dropped an egg on the kitchen floor every time he took a bite. When Etat Libre D’Orange announced “La Fin du Monde” in 2013 (The End of the World), I was quite excited. Like watching the trailer of a disaster movie, I “previewed” the perfume by reading its notes on Fragrantica – gunpowder (war and violence), popcorn (explosion and movie theatre junk food), carrot seeds and sesame (“what the F?”), vetiver, sandalwood and cumin (reliable actors), I could tell it’s a going to be a creative nonsensical B-movie perfume. When I first wore La Fin du Monde, I was smiling from ear to ear because it smelled ridiculously silly yet perfectly fine; deliciously oily yet inedible (sesame and popcorn), strange yet familiar (carrot seed/gunpowder and vetiver/sandalwood/iris/freesia); really the top notes of the perfume are a joke but the middle and base notes are serious and sincere. 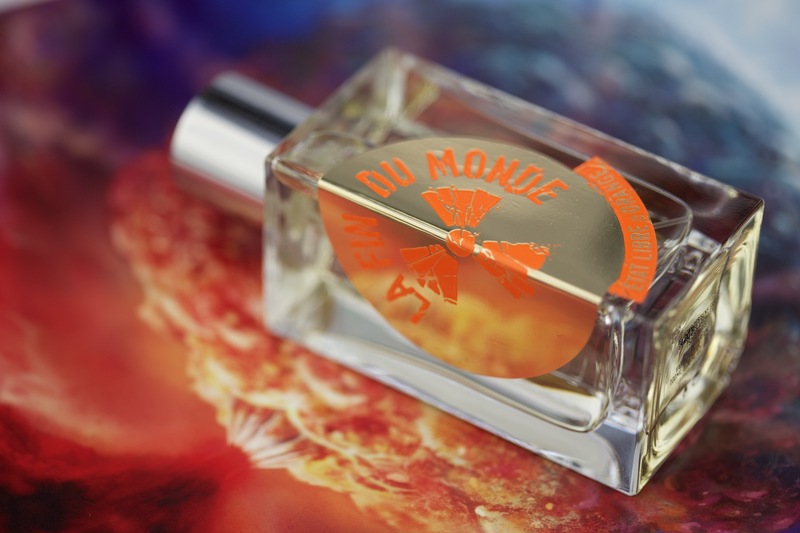 Sometimes when my friends want to watch a movie at my place, I choose the common denominator – a disaster flick or a brainless comedy; similarly, when I have friends who want to smell some niche perfumes, I will definitely bring out “La Fin du Monde”. “Coco, What is your aspiration in life?”, asked the teacher. As she walked out of the room, a very light trail of scent reminiscent of a mixture of some nice but indistinct powdery and white floral perfumes followed her. 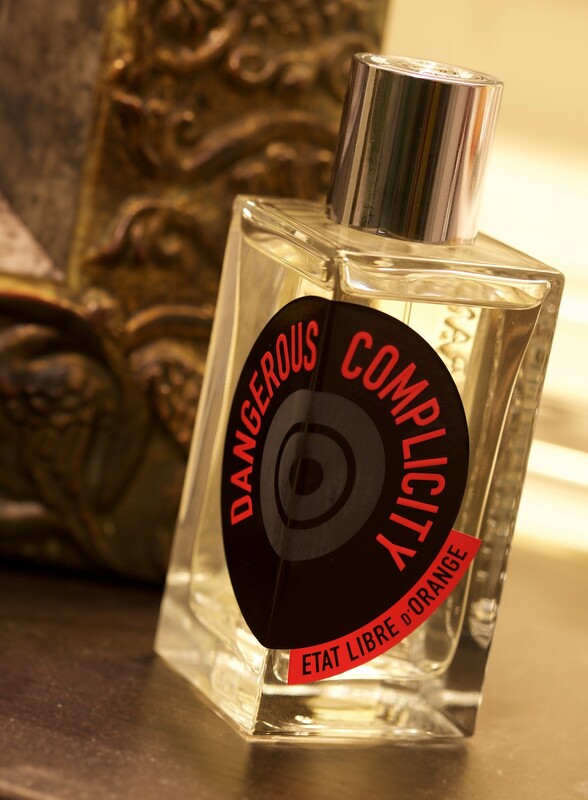 Notes include: Cognac, Ginger, Coconut, Jasmine, Soft Leather, Sandalwood. 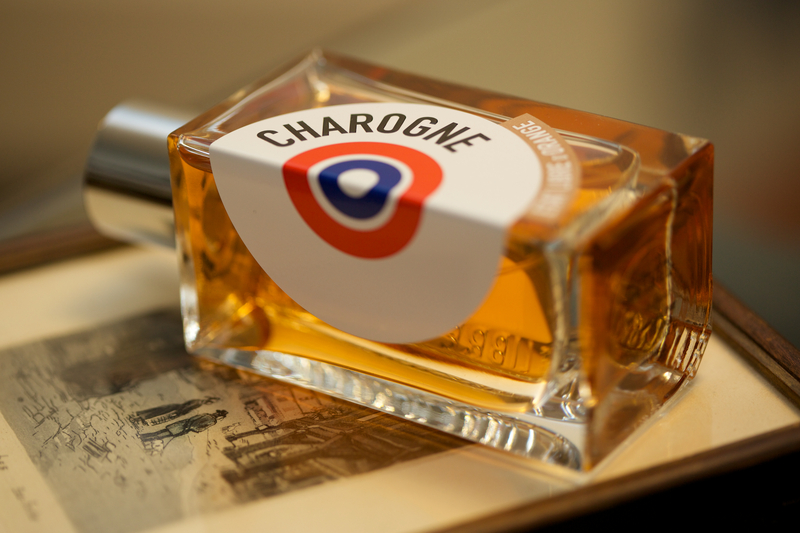 This chypre perfume is so dense and rich, wearing it is like being trapped in a steamed-up kitchen with all the windows and doors shut and the kettle filled with oak moss, myrrh and amber is boiling. The Afternoon of a Faun is a distant relative of Mitsouku who lives in the forest and he doesn’t like to talk to anyone younger than 30. 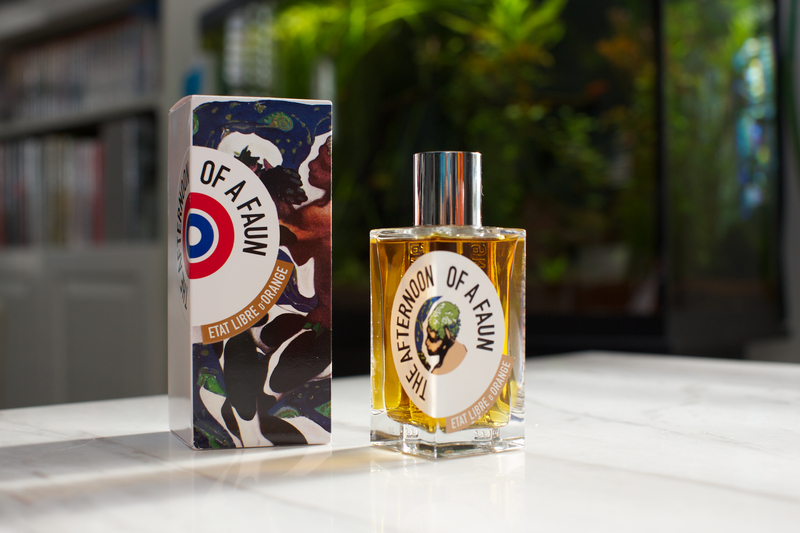 The top notes are very beautiful florals… when all is dissipated, the unusual leather, incense, cardamon take control and turn the scent completely odd and old-smelling, like a bouquet of wilted flowers stuffed in an antique leather luggage. I wear it occasionally.